Designed to encourage student social interaction this building houses a flexible, multi-purpose space and service areas to support a range of student activities. 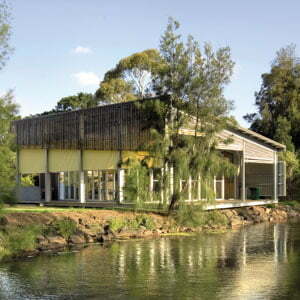 Located in the south-east corner of the Clayton Campus and serving student residences nearby, this pavilion was inspired by Laugier’s primitive hut (representing a simple, spare, open enclosure) and Manet’s painting Le Dejeuner Sur L’Herbe (representing sybaritic recreational activities in a garden setting). 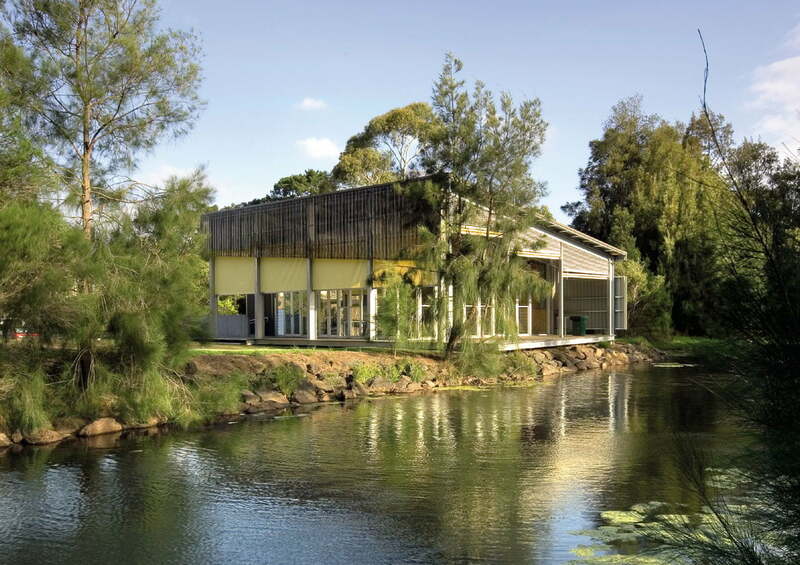 The glassy, steel framed building with north and west verandahs faces north over a recreational lawn and overlooks a small lake to the west. Comprising a large multi-purpose flexible space and ancillary areas (kitchen, toilets, storage) the interior and verandah spaces are designed to support a variety of individual and group activities. 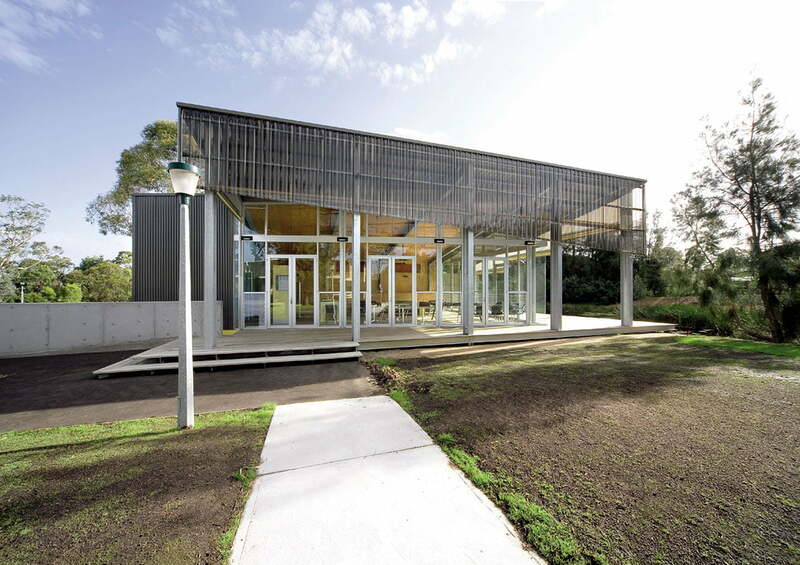 Although a building designed purely for pleasure, the pavilion has a serious purpose – to encourage social interaction among Monash’s resident students and prevent isolation, particularly among international students. Expressing a moment of change in the town of Pomonal – from the memory of the existing hall to a contemporary place for the community. Conceived as a house with a super-sized garage, this building is clad in emergency services livery including the iconic red-cross. Drawing upon the existing clubroom structure, the screen wall and green canopies curve together as an integrated, civic-scale street edge. By combining familiar rural forms with a direct response to the site, we wanted these facilities to feel like they’d always been there. 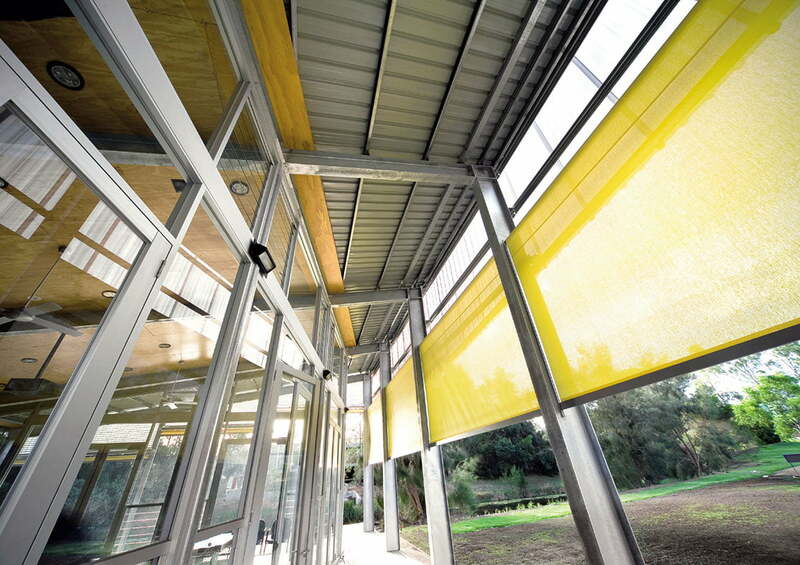 For a local primary school running an immersive bilingual program in French and English, this project includes six classrooms above a multi-purpose gymnasium. The implementation of a masterplan with new administration building, classroom block, and ‘Cultural Centre’ housing Library, Art, Music, Canteen and ICT spaces. 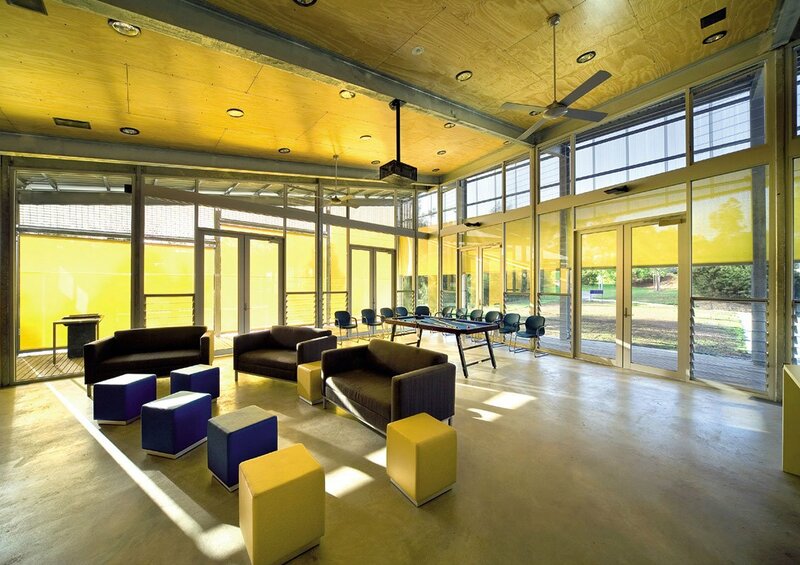 Abandoning traditional classrooms in favour of an ‘activity based team teaching’ model, this project contains two open plan ‘learning neighbourhoods’ across two levels. New new multi-purpose hall / gymnasium and after school care facilities along with the remodelling of the west wing of the existing heritage building. New classrooms, library and administration facilities along with the remodelling of the east and central wings of the existing heritage building. Celebrating the history and material iconography of the Mornington Peninsula, this project reflects on the traditions of timber boatbuilding and maritime navigation. A landscape and architectural masterplan for a museum to house the work of Korean born video artist Nam June Paik.